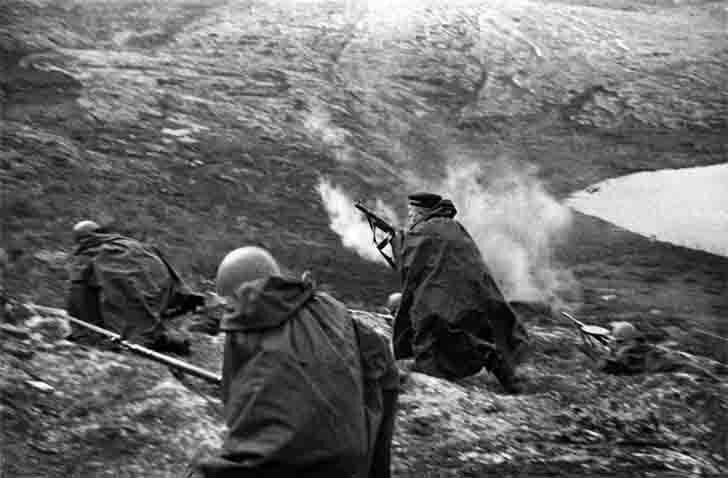 Russian Marines are tough and bloody battle for Rybachy Peninsula against the soldiers of the Nazi Wehrmacht in 1944. Rybachie Peninsula (Giehkirnjárga; Finnish: Kalastajasaarento, Norwegian: Fiskerhalvøya) – a peninsula in northern Russia. Rybachie Peninsula Administrative part of the Pechenga District of the Murmansk region. Rybachie Peninsula is washed by the Barents Sea and Motovsky Gulf. Rybachie Peninsula is a plateau, steeply to the sea.